You’ve mastered the art of carving a bird, selected only the finest from your champagne vault to serve your guests, and set the table exquisitely. Make a real splash with your guests this Thanksgiving in one of these stunning dining rooms. Whether opting for the formal dining room or a more casual affair in a Southern Californian alfresco space, this Thanksgiving will be more than just a holiday – but an unforgettable experience. Hilton & Hyland has gathered a few of our premier dining rooms that have become the perfect blend of a place of peace and a place to gather over the holidays. 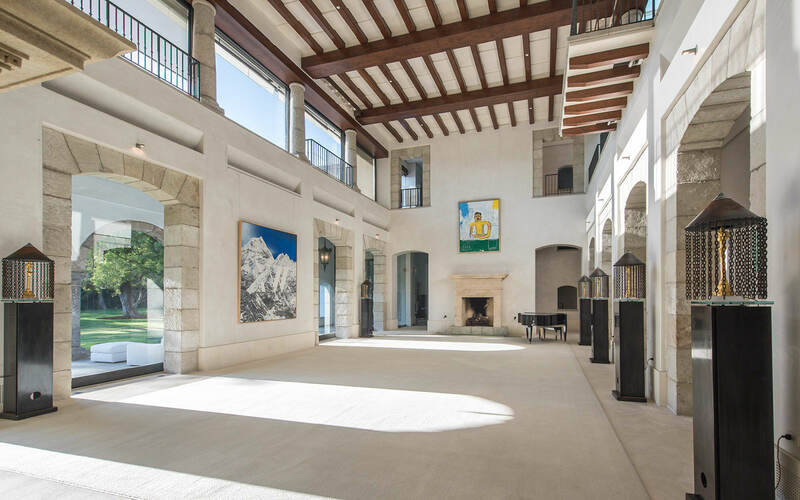 Hosting a dinner party in the iconic 30,000+ square-foot compound modeled after the Reina Sofia in Madrid is an entertainer’s dream. The soaring atrium with a 28-foot ceiling from which all other rooms branch can be converted into the ultimate dining room this holiday season. 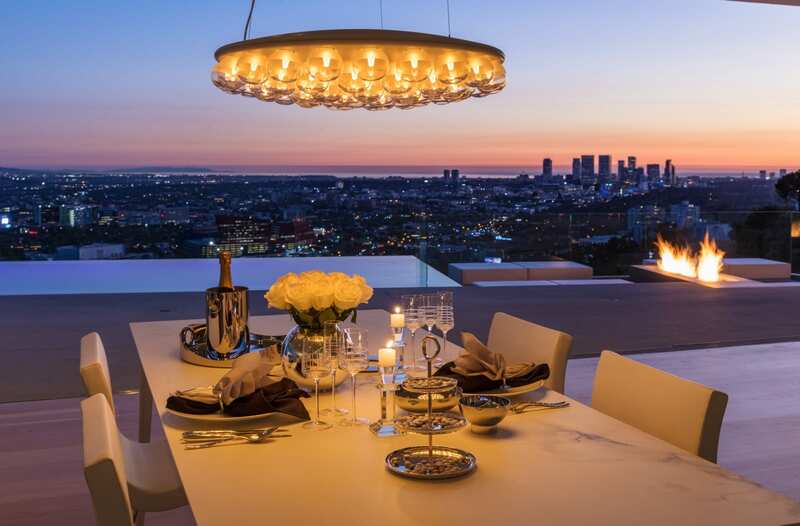 Once the personal residence of John Elgin Woolf (AIA) from the late 50’s-60’s, this property reflects the grandeur of old Hollywood combined with today’s amenities and standards. The abundantly lit formal dining room, poised for both intimate or large-scale dining, is sure to leave your guests talking about your dinner party well into the new year. Inspired by the great Palladian Villas of Northern Italy, this showplace is over 31,000-square-feet of refined interiors designed by Stephen Stone. Seating 20+ guests, the formal dining room exudes a relaxed elegance, allowing those to easily saunter between the luxurious living and dining spaces as well as the lush, manicured grounds. No expense was spared in the making of this Belzberg Architects-designed trophy compound. Pick some pinot from the wine tasting room before heading outside to the large sun deck with a cocktail bar and spa pool surrounded by a massive lounge space. In need of a tropical escape but are pressed for time? Break up the monotony and have Thanksgiving at your own private oasis on the most protected coast of the Mexican Pacific between Puerto Vallarta and Manzanillo. 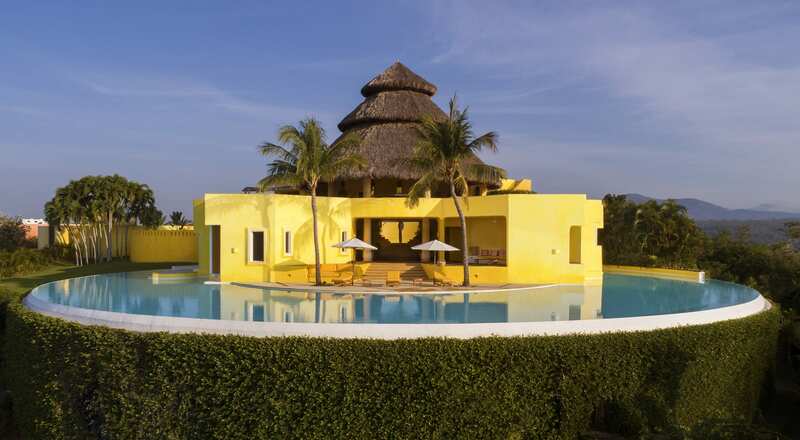 Surrounded by the 25,000-acre Chaemla Cuixmala Reserve, the stunning compound features a three-bedroom castle, a one-bedroom tower, two bungalows each with one bedroom, and breathtaking panoramic views.